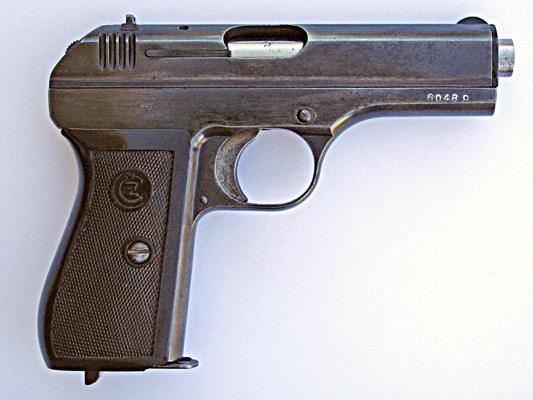 The CZ 27 in 32 automatic is an interesting little single-action blow-back pistol; it was used in Czechoslovakia as a police and military sidearm. Perhaps 650,000 were made, from 1927 to the 1950s. 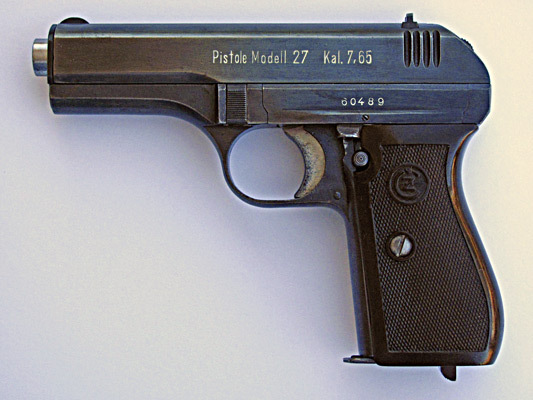 When the nasty Nazis seized Czechoslovakia and its very well-developed armament industries, they took over manufacture of the CZ 27 and other excellent Czech arms (including tanks). 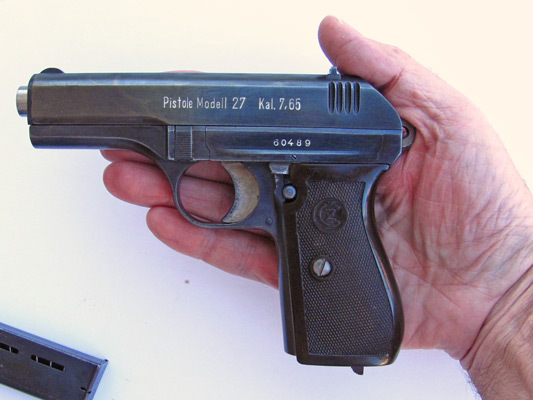 Late war-time pistols are rather rough, but still work well. This is an early war-time example; it bears Nazi inspection marks that someone obliterated after the war. 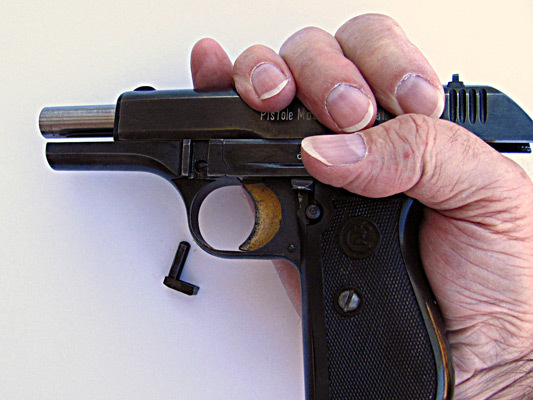 Before working on the pistol, remove the magazine and clear both the magazine and the chamber. 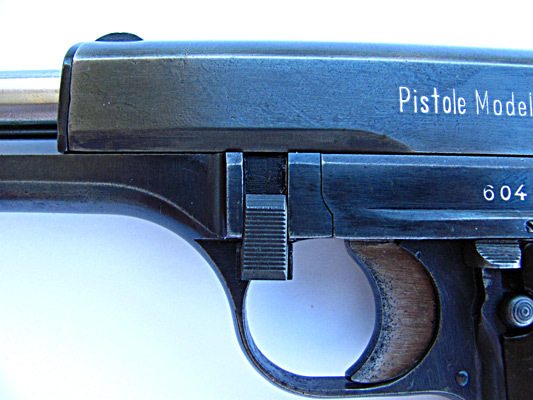 The release button for the take-down latch is just above the front of the trigger guard. 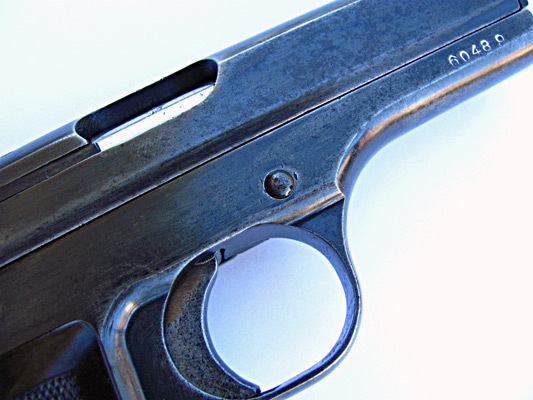 Normally it's hard to push, because it holds the barrel back against pressure from the breech. 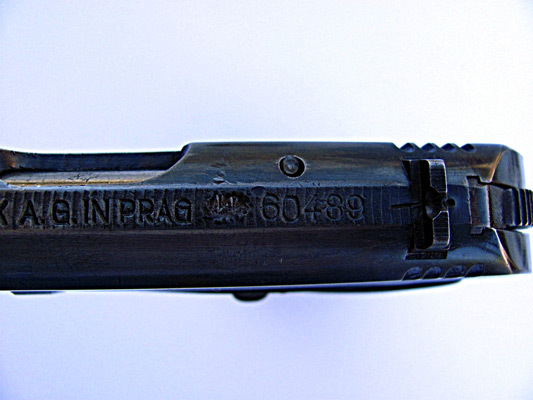 The magazine follower acts as the slide stop. Insert the empty magazine and pull the slide fully back. If the magazine follower is in good condition, it will hold the slide back. ...and slide the takedown latch down. Now withdraw the takedown latch to the left. If the magazine follower won't hold the slide back, then you can hold the slide back with one hand, press in the release button with another, and slide down and remove the takedown latch with a third. 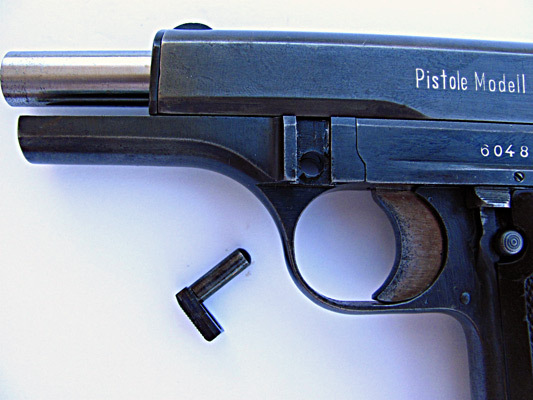 Hold the slide against the pressure of the recoil spring and remove the magazine. 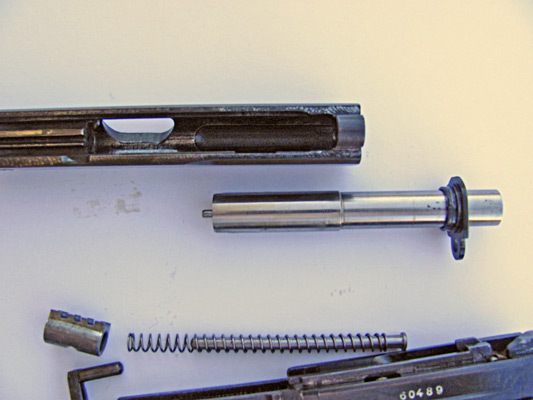 Now the slide comes off forward and the recoil spring, guide rod, and barrel retainer lug fall out. 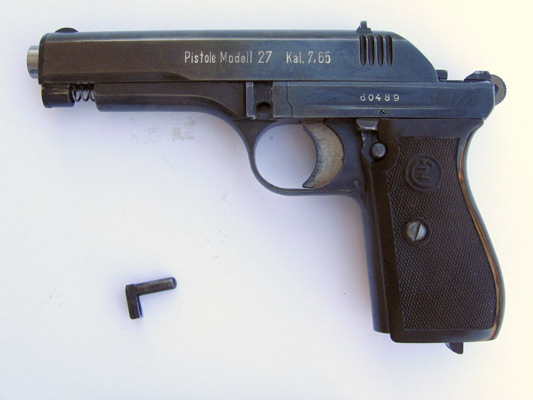 The pistol has a magazine safety, so you can't release the hammer without putting the magazine back in. Rotate the barrel bushing counter clockwise a little and pull it out. 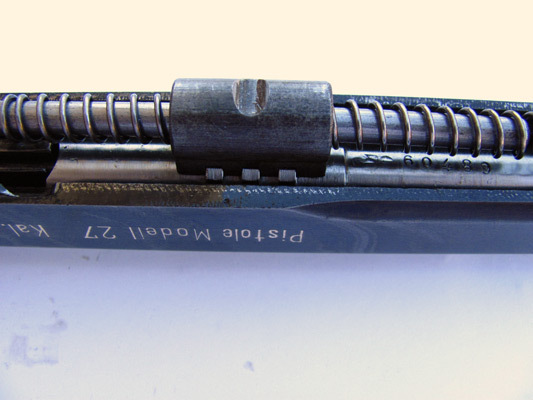 Pull the barrel out until the lugs align with the cutout in the slide. The pistol is now fully field stripped. 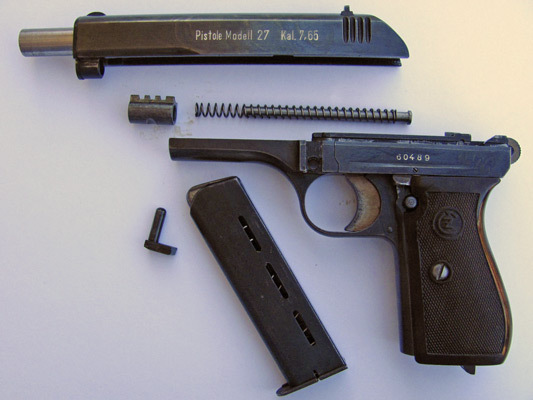 Further disassembly is more difficult than with most automatic pistols, but it's a lot of fun, and maybe we'll continue with that later. I don't want to do it again on this pistol because it's the only vz. 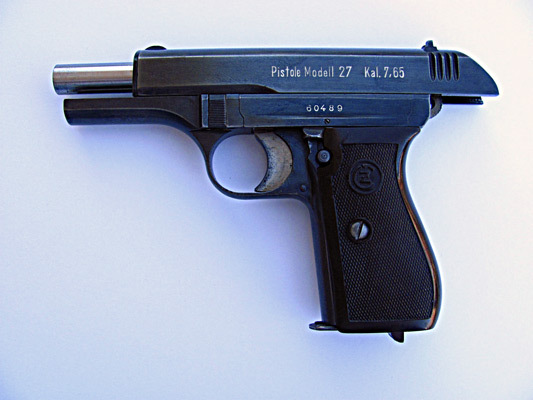 27 I have and I want to minimize wear and tear on it. Reassembly is the exact reverse of disassembly. 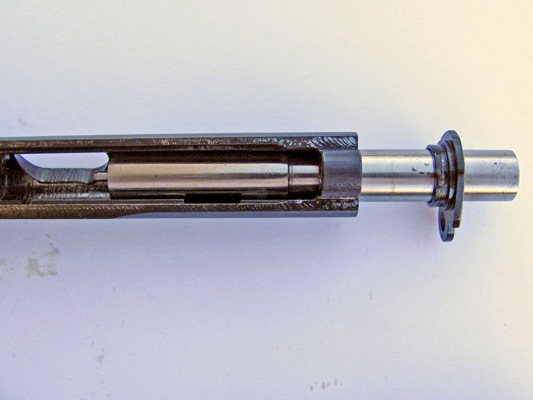 Start by replacing the barrel and the barrel bushing, and then assemble the recoil spring and its guide with the barrel retaining lug. 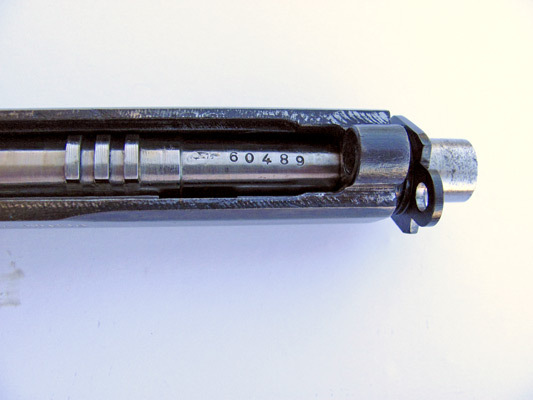 The knob on the guide goes toward the rear. The spring goes either way. The retaining lug is symmetrical so it can go on either way. 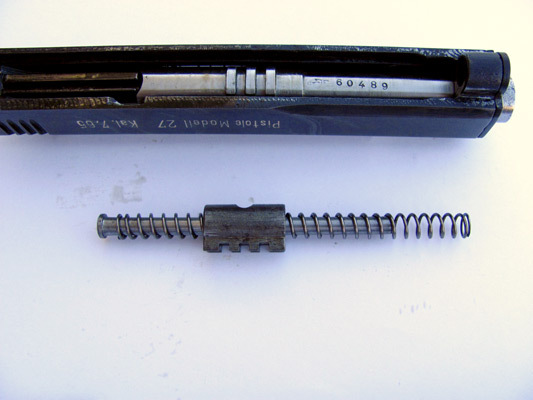 Assemble the recoil spring and the lug as shown here. Install the slide and the take-down latch. 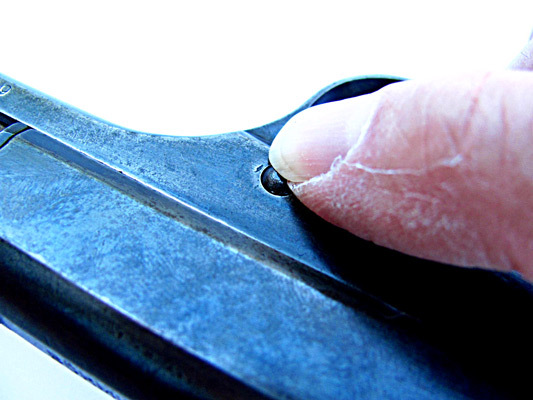 You might replace the magazine to hold the slide back, or you might just hold the slide back while you insert the take-down latch. 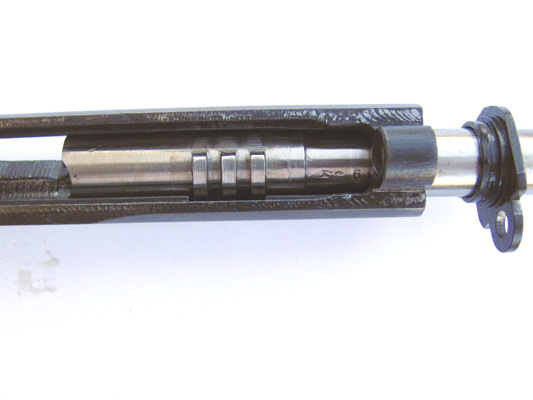 Either way, you'll see the semi-circular cut-out in the barrel lug line up with the hole through which the take-down latch is to be inserted. 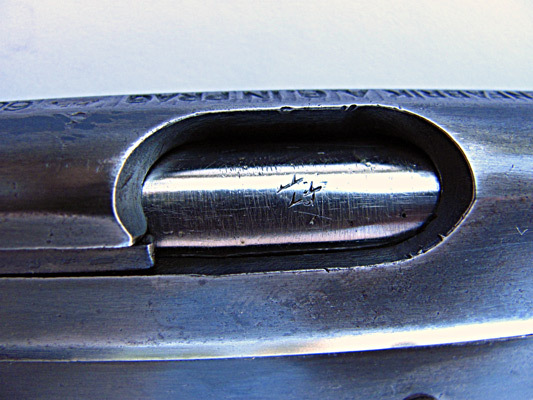 I don't like to remove the magazine to release the slide, because I think it causes unnecessary wear to the soft metal of the magazine follower. Those magazines are hard to come by these days. So I hold the slide back while I remove an empty magazine. 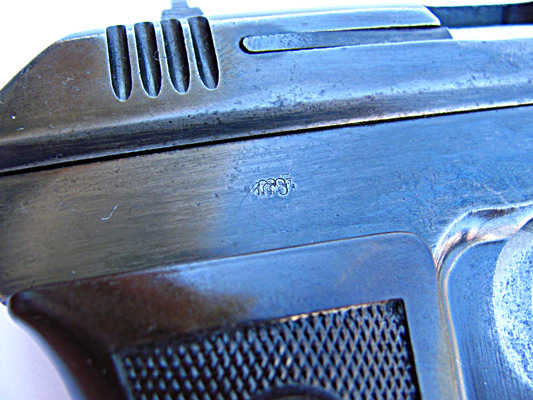 Here's the Nazi Waffenampt inspection mark, struck over to obliterate it. Another Waffenampt mark is struck over on the barrel. And a third is obliterated from the top of the slide. Take that, Nazi swine.